Today, we’re releasing new research from our partnership with Gallup that investigates the demographic inequities in K-12 computer science (CS) education in two reports, Diversity Gaps in Computer Science: Exploring the Underrepresentation of Girls, Blacks and Hispanics and Trends in the State of Computer Science in U.S. K-12 Schools. We surveyed 16,000 nationally representative groups of students, parents, teachers, principals, and superintendents in the U.S. Our findings explore the CS learning gap between white students and their Black and Hispanic peers as well as between boys and girls and confirm just how much demographic differences matter. 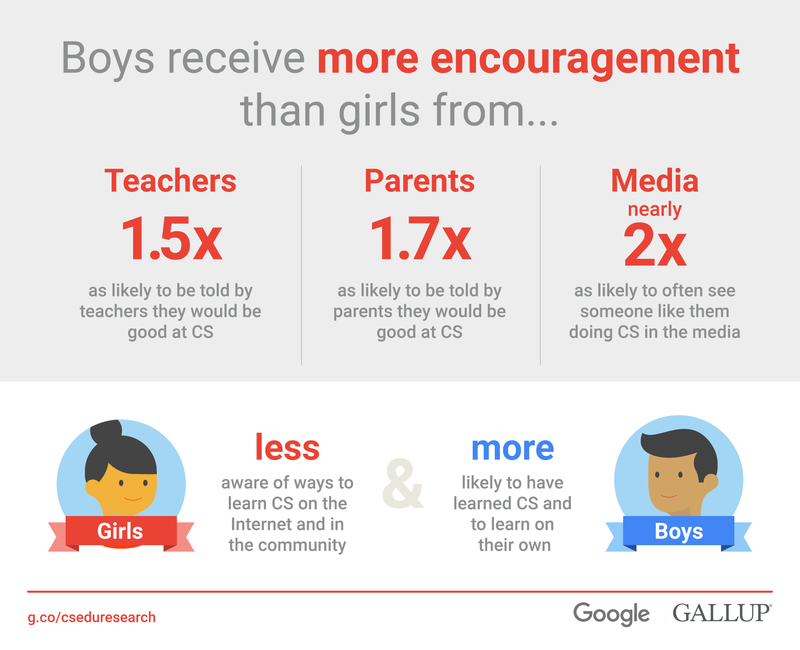 We’re excited to share this data to bring awareness to issues on the ground in order to help expand CS education in meaningful ways. Black students are less likely to have access to CS in classes at school compared to white or Hispanic students. Specifically, 47 percent say they have dedicated CS classes, compared to 58 percent of white students and 59 percent of Hispanic students. Black and Hispanic students are less likely than white students to use computers at home and/or at school frequently. 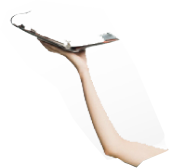 Only 58 percent of Black and 50 percent of Hispanic students say they use a computer at least most days at home, compared to 68 percent of white students. Black and Hispanic students are more likely than their white counterparts to be interested in learning CS. 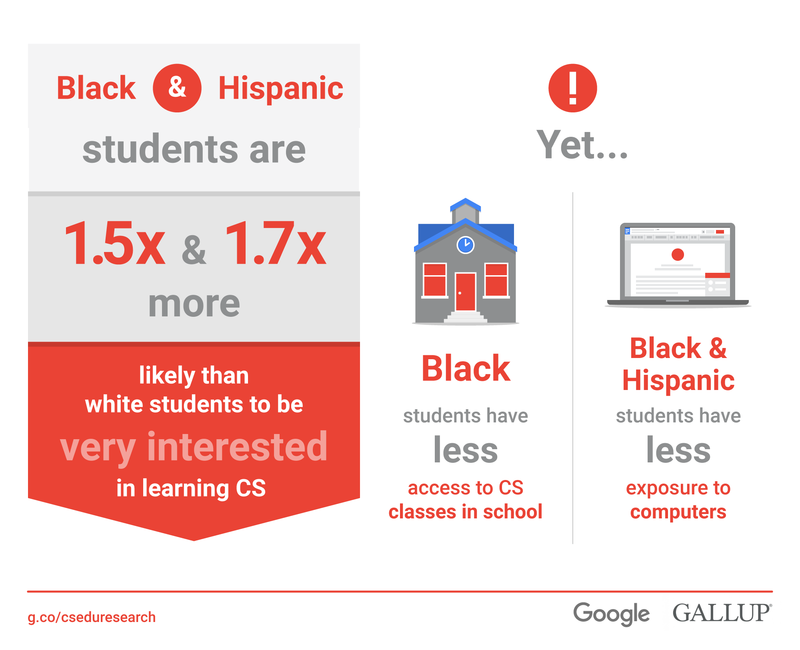 Black students are 1.5 times and Hispanic students are 1.7 times as likely as white students to be interested in learning CS. Black and Hispanic parents want their child to learn CS. Of parents whose child has not learned CS, 92 percent of Black and Hispanic parents want their child to learn CS compared to 84 percent of white parents. Hispanic students have less exposure to role models — just 49 percent of Hispanic students say an adult in their lives works with computers or technology compared to 58 percent of white and 65 percent of Black students. Hispanic students and girls are less likely to see media images of CS reflect themselves and, of students who see those in the media engaged in CS, girls are about half as likely as boys to say that they often see someone like themselves. 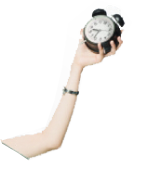 Girls are less likely than boys to report being told by parents or teachers that they would be good at CS (39 percent versus 56 percent of boys) and are less likely than boys to be aware of CS learning opportunities outside of school. Not surprisingly, both Hispanics and girls have lower confidence to learn CS and are less likely to have learned CS. As our research and decades of work have uncovered, CS education is a complex space. We must work together to catalyze the changes needed to challenge narrow social images of CS, while simultaneously working to bring about universal access to quality CS education. Yesterday’s announcement of the K-12 Computer Science Framework, which Google supports, represents a momentous step toward guiding schools on high quality, rigorous CS education. We hope that our research continues to support collaboration efforts like the framework to increase equitable opportunities for all students to learn CS.